2018 is around the corner. Time to make some changes in your life. Right? 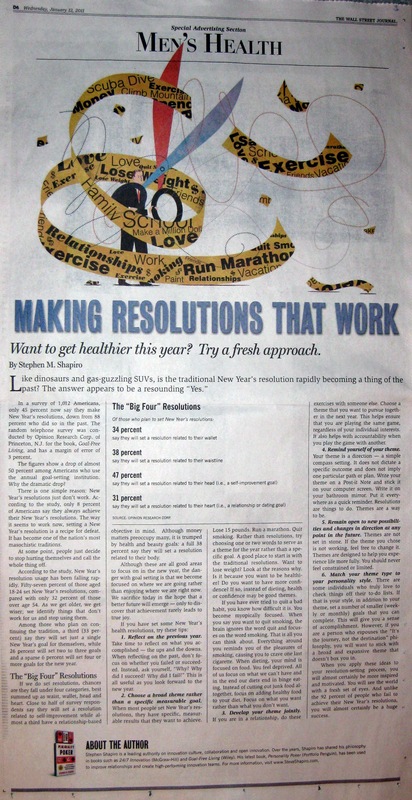 Ready to set some resolutions? Before you do, did you know that only 8% of people are always successful in achieving the desired results. 92% fail! I will post my 2018 themes in the New Year. Posted in Goal-Free Living by Stephen Shapiro on Posted on December 31, 2017 , updated on January 3, 2018 by Stephen Shapiro.